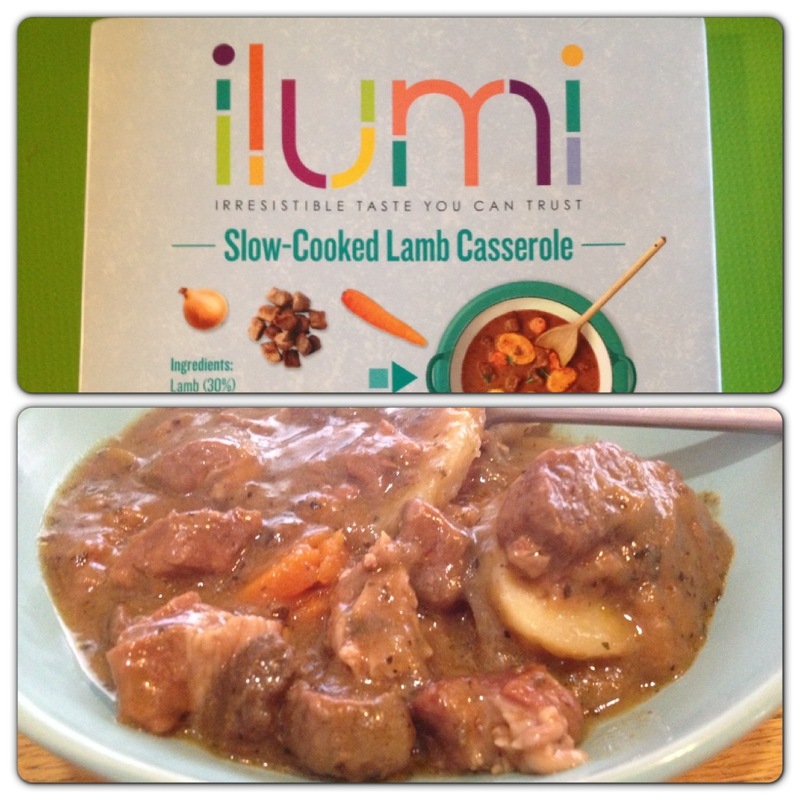 Ilumi is the new range of delicious soups, sauces, curries, casseroles and more! 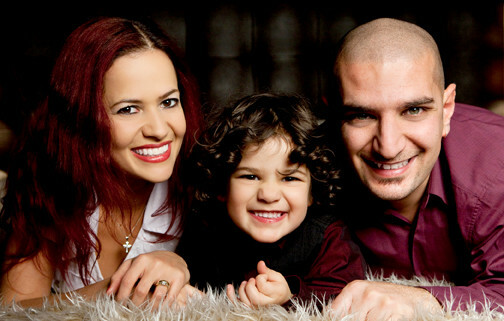 The range is completely gluten, nut and milk free, to be enjoyed in and out of home. Ilumi starts from scratch to make mouth-watering meals where every ingredient has a purpose, creating food you can enjoy with confidence, without any compromise on taste. I am lactose intolerant, and although I do not have wheat intolerance, my body prefers when I have wheat-free food. 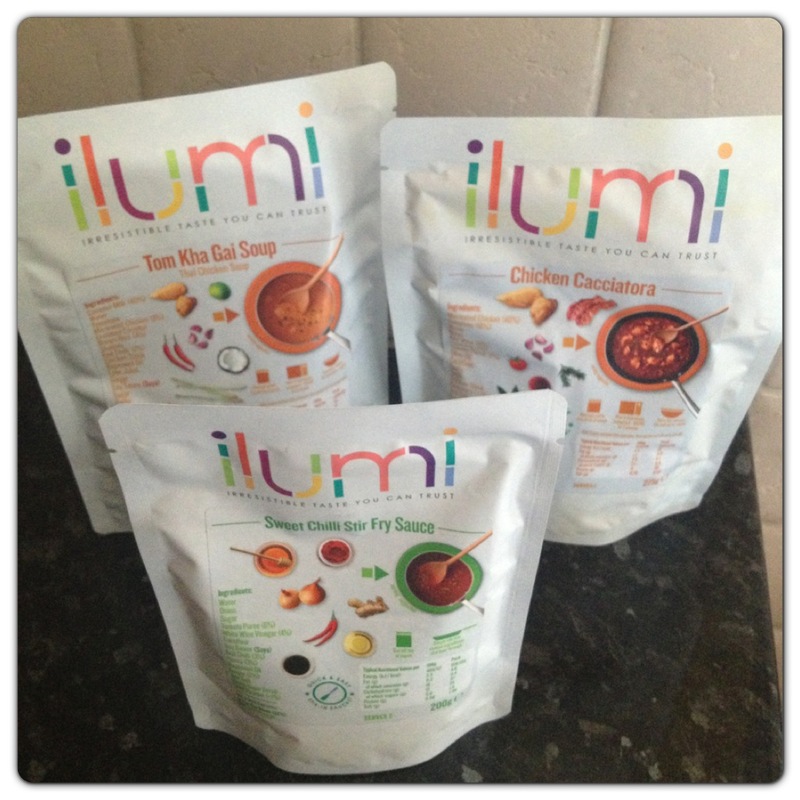 Ilumi range goes from sauces and ingredients through to fully prepared meals which are allergen free. I was sent a selection to try, including Tom Kha Gai Soup, Chicken Cacciatora, Sweet Chilli Stir Fry Sauce, Kerala Chicken Curry and Slow Cooked Lamb Casserole. We usually have homemade meals at home, but it is always handy to have high quality ready-meals in the cupboard for those days when you get home late or need a quick lunch over the weekend. I like hot lunches and prefer hot meals to a sandwich at lunchtime, so I took some Ilumi meals to work and had them on my lunch break. 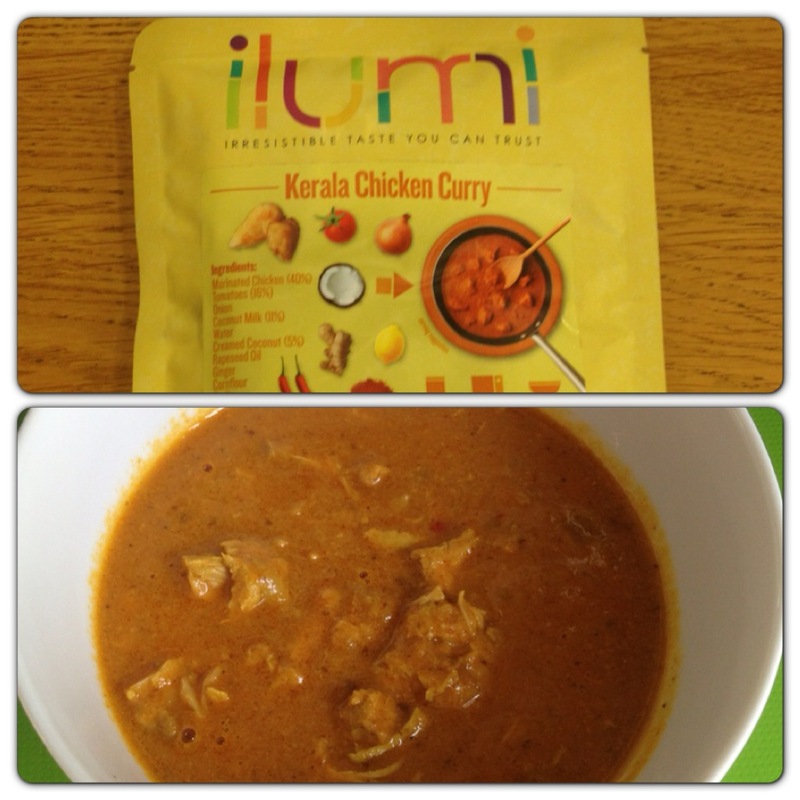 My favourite Ilumi products so far are Kerala Chicken Curry and Slow Cooked Lamb Casserole. The Kerala Chicken Curry comes in a 275g pounch, it is marinated chicken in a mild and creamy southern Indian curry sauce made with coconut milk and aromatic ground and roasted spices. It is full of flavour with big chunks of chicken, with the same texture as homemade meals. You could add rice to the Kerala chicken curry, but I was happy to have it on its own. The Slow Cooked Lamb Casserole was very tasty, it comes in a 350g tray. It is slow cooked diced lamb in a rosemary and mint gravy, with sliced potatoes and carrots. It is a meal on its own, ready to be enjoyed, as it comes with the protein (lamb), carbohydrates (potatoes) and vegetables (carrots). The lamb stock contains herbs such as parsley, thyme and bay leaf. Overall, I really enjoyed trying Ilumi, although the meals are allergen free, they do not taste any different to regular versions. They actually taste much nicer than most of the ready meals I’ve had in the past. Ilumi has a wide range of products, from Spicy Butternut Squash Soup to Aromatic Thai Green Curry, and I am looking forward to trying different meals. 2 Responses to "Allergen-Free Food by Ilumi"